It's no secret that my closet is bursting at the seams. I definitely don't need more clothing and, for the most part, I have all the basics covered in my wardrobe (and then some!). I am making an effort to shop my closet more and to only buy clothes that make me say "wow!". 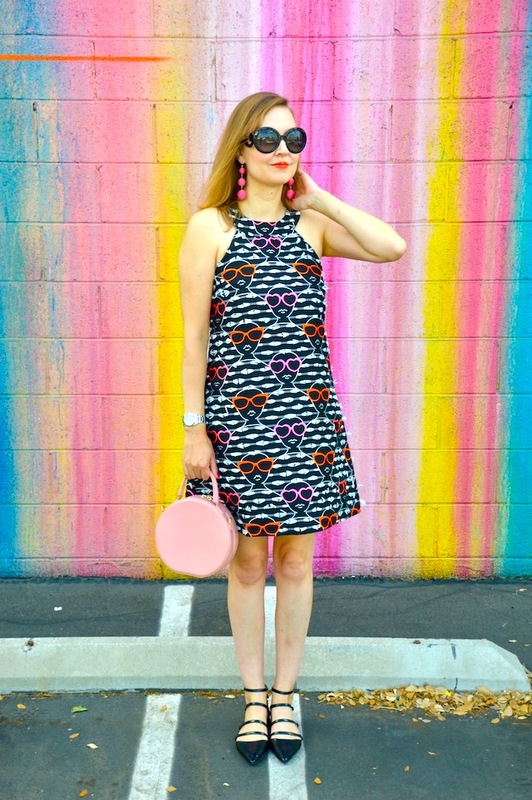 This shift dress with these fun sunglasses clad faces definitely has that wow factor, so when I found it on sale last weekend at Anthropologie, I just had to add it to my closet! 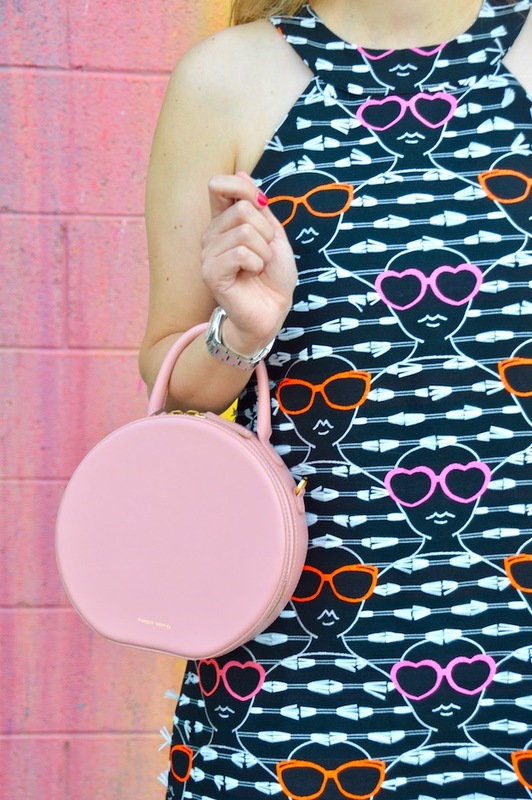 When this dress came out over the summer, I was a bit on the fence about purchasing it because, while I adored the print, it looked a little short, it wasn't exactly inexpensive, and it didn't seem like it would be particularly practical. But, then again, there was that print! Truth be told, I kind of forgot about the dress but when I was perusing the sale rack at my local Anthropologie, I came across it and fell in love all over again! After trying it on, I realized that both the fit and length were perfect and, of course, it was on sale, making it impossible for me to say no! With the cooler months quickly approaching, I'll probably save the dress for Valentine's Day and pair it with tights and a sweater. Speaking of things that have that wow factor, this wall is one of my favorites and I think it makes the perfect backdrop for my dress. Lately, I've been a little underwhelmed with some of my blog photos due to the fact that it's really hard to do photo shoots at "cool locations" because the school year has been a daunting one that leaves very little time for blogging. If I was a professional blogger, I would have a location scout and travel to all sorts of amazing places that perfectly complemented my outfit but, unfortunately, that's not real life! Real life is me trying to squeeze in a blog shoot sometime on the weekend or after school when I'm dead tired and feeling like a hot mess. 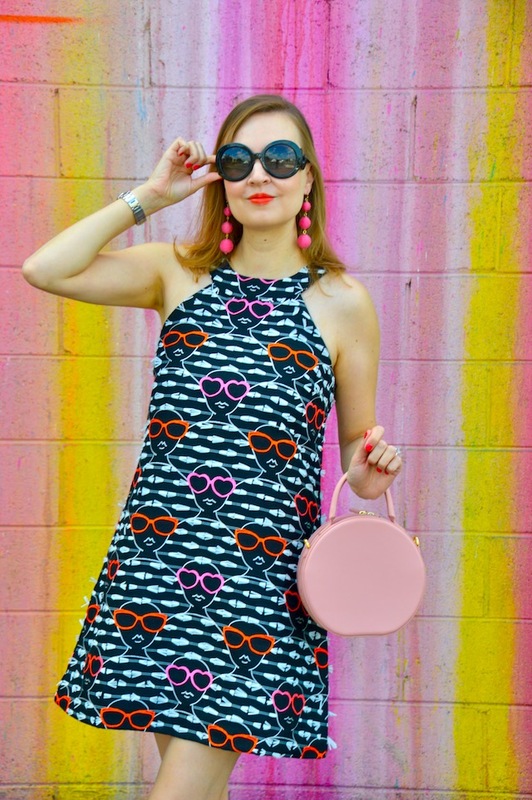 This dress and backdrop, however, made me feel, if only for a moment, like the glamorous blogger I secretly aspire to be, yet know is not truly realistic! This is so cute! 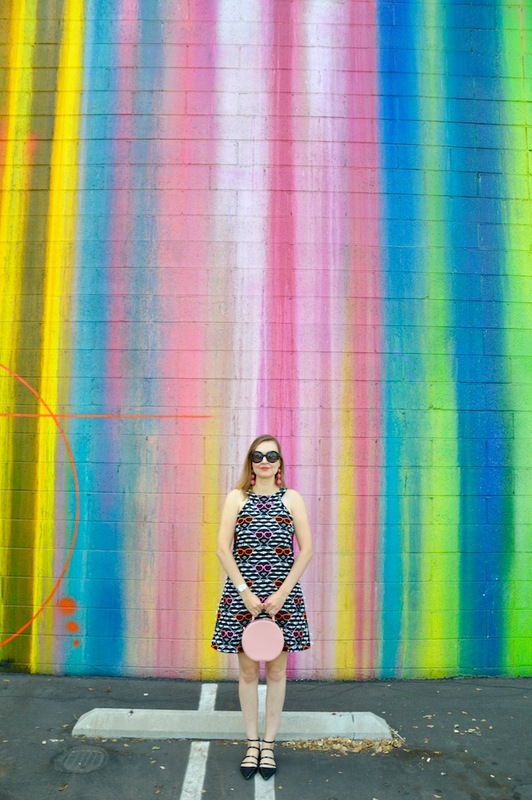 I think the wall is perfect with the bright fun dress. 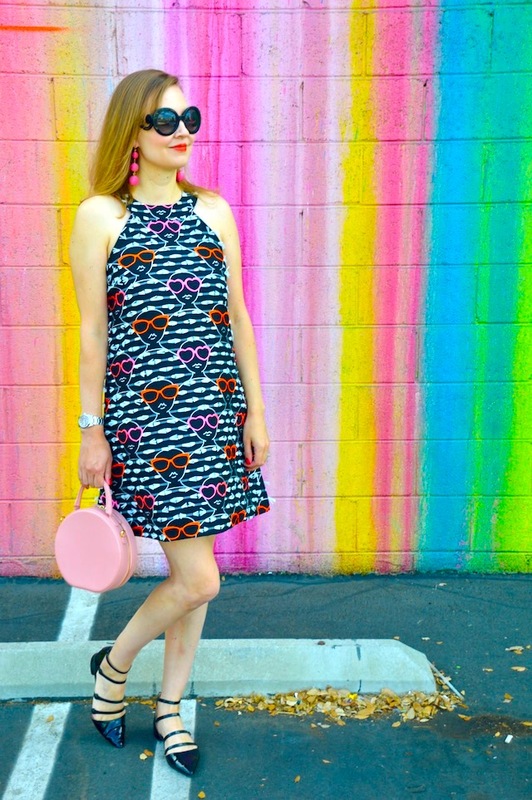 I love the heart sunnies! Me too....was totally on the fence but then it's on super sale now! And makes it even more WOW. 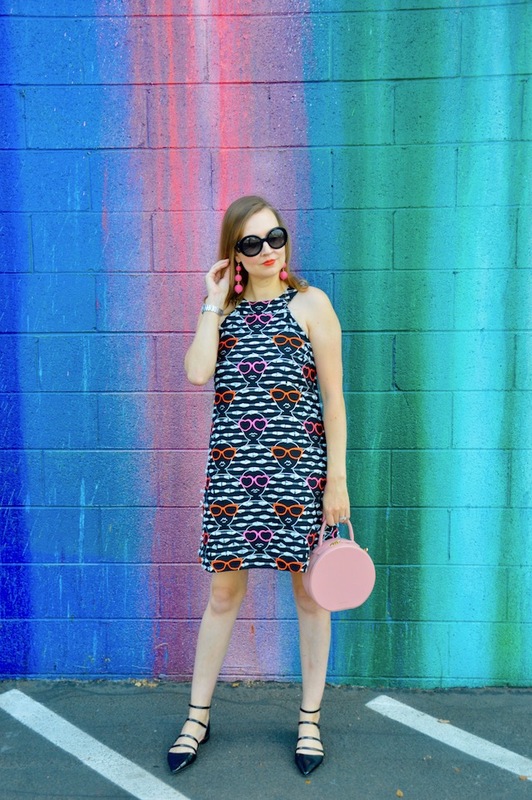 Love love how you styled the dress - looks great on you. I only hope I can find a way to style it so it's 'me'.